After a hectic travelling schedule that including hopping countries, I had tested the limits of my energy and was feeling quite drained. So when I had the opportunity of pampering myself, I decided to head to Wink Salon & Spa. 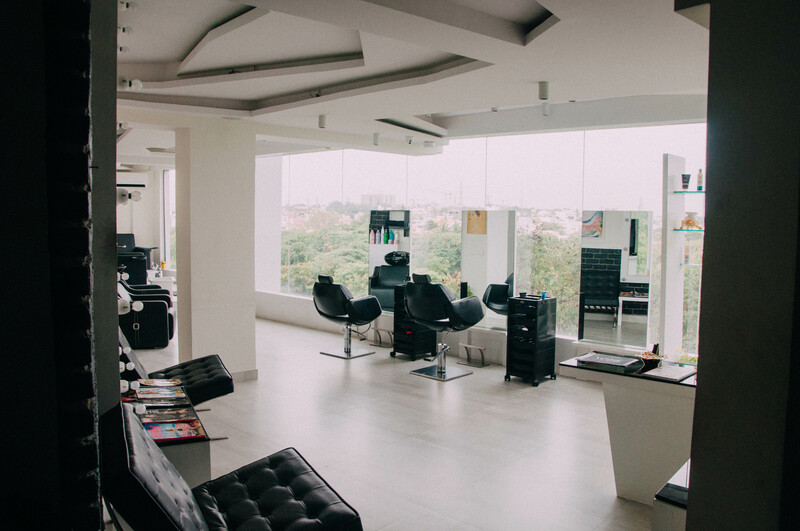 Located on the fourth floor overlooking the beautiful Ulsoor Lake, Wink Salon and Spa has a decor that is bright and quirky. A beautiful mustard door welcomes you inside the plush space done up in hues of yellow, black and white. There are interesting elements of wall decor through the use of makeup related imagery on the walls. The best part however is the view of the lake and the greenery which has a natural soothing effect on your senses and adds to this luxury experience like no other. “We give you an experience that you will cherish, with the most amazing view that will rejuvenate and leave you fresh and energetic. We have a range of luxury and signature treatments at unbelievable prices,” says Alka Nagpal one of the partners here. 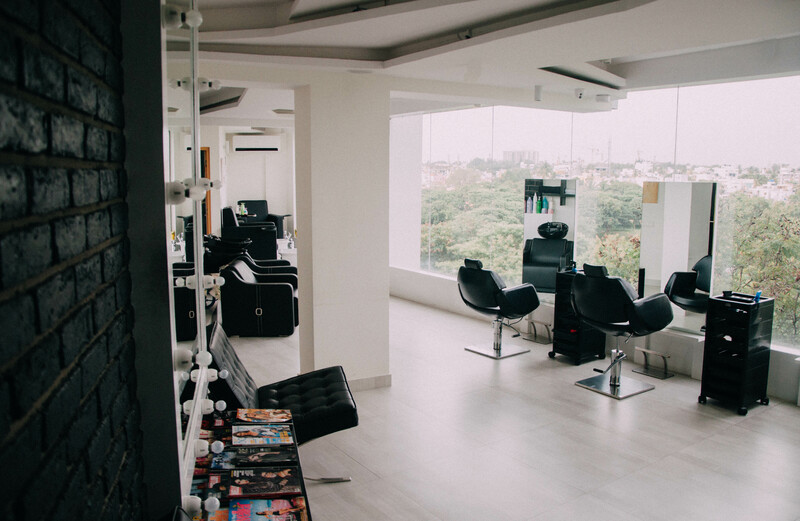 It does help that the salon is managed by the same group that owns Watson’s the pub located on the same floor opposite the salon. So if you are spending long hours here, you will never go hungry! I was recommended to try the specialty facial which is their signature Janssen Secret Facial. This is a luxury German facial product that helps give your face a bright makeover. The facial uses premium quality wellness products to relax your senses making your skin look fresh, hydrated and nourished. My masseur Sudha starts the ritual by cleansing my face with a brightening face cleanser. Post this she uses a scrub to remove all the dead skin and quickly removes all the black heads on my face. A serum is then rubbed on my face and is quickly absorbed in the skin. She then mixes a face pack with water and applies it immediately all over including the eyes and lips. The face pack dries in a few minutes but is allowed to remain on the face for 15 minutes before it is peeled off. After cleaning my face thoroughly with a face freshener, a sun screen is applied on my face. When I look at the final result, I can see a visible shine on my face. I next head out to the hair section for the Wink special hair spa and checking my scalp Sudha advices me to go for the Smoothening Hair Spa that uses L’oreal products. The process is fairly simple and starts with a hair wash using Loreal hair spa purifying shampoo. After this the Loreal smoothening cream bath is carefully applied all over my hair using a brush and a comb for total coverage. I am told that a serum is not being used as my scalp has no issues like dandruff. Using her deft hands, Sudha then starts with an invigorating head massage that relaxes all my head muscles immediately. After this I am given a hair steam under a dome shaped object that helps absorb the benefits of the cream into the hair. A hair wash and blow dry later my hair is feeling soft and supple and smelling fantastic too. “Today we all have very stressful lifestyles and added to that the pollution tends to make our hair dull, dry and damaged. 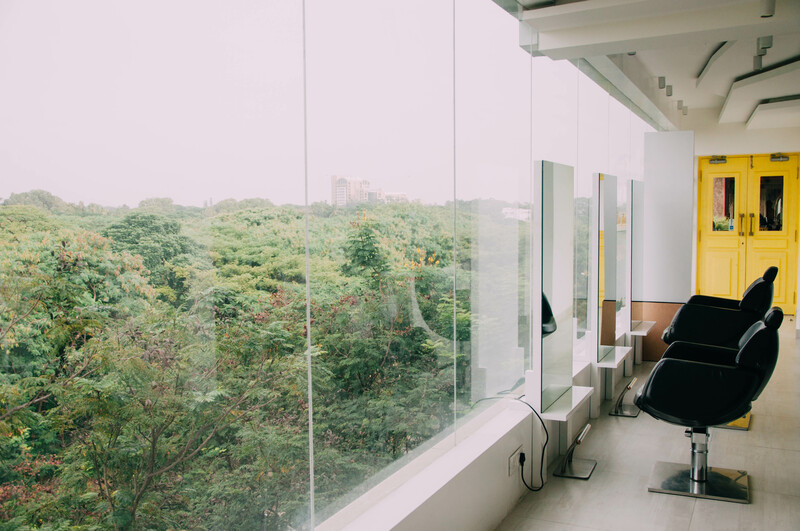 Hence it is essential to nourish it and we at Wink will give you a hair spa that relaxes, nourishes and gives your hair shine leaving your locks looking beautiful,” says Alka. After this I could not agree more. I also try the Wink special pedicure using Lotus products that gives my tired feet a well moisturised and soft makeover. Starting with removing old nail polish, a cuticle cream is applied on all my nails. Using a cuticle pusher, the cuticles are pushed back and a trimmer removes all extra cuticles. Soaking my feet in warm water with rose petals is delightful. Scrubbing and buffing my feet to remove the dead skin and the pack to help nourish the skin is greatly relaxing. A massage and fresh nail paint leave my feet happy and I feel pampered and gorgeous at one go. Well, after all this was a well deserved break after weeks of unending work. And you can have it too – head to Wink Salon.